Though the name of American composer and lyricist Burton Lane (b. 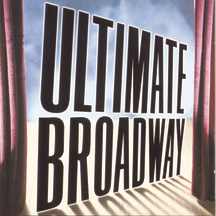 New York City, February 2, 1912; d. New York City, January 5, 1997) is not universally known, he turned out tunes for Broadway and Hollywood for over fifty years. 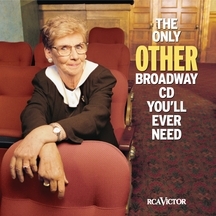 Some of his songs, like “How About You?”, “Everything I Have Is Yours,” “How Are Things in Glocca Morra?”, and “Heigh-Ho, the Gang’s All Here,” are essential parts of modern culture. Lane worked with great lyricists – Ira Gershwin, Alan Jay Lerner, Freank Loesser, “Yip” Harburg – and occasionally, but with great success, wrote the words to his own music. In the late 1920s, the big money in popular music was still to be made on the sale of sheet music. 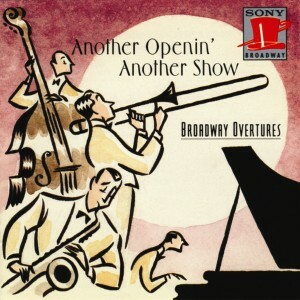 Dozens of publishing houses and their retail stores were crammed into West 28th Street in New York City, between Fifth and Sixth Avenues, and every one of them had a “song plugger” singing and banging on a piano in a effort to drown out the song plugger next door – hence an awful racket, and the street’s nickname, “Tin Pan Alley.” Burton Levy dropped out of high school to follow in the footsteps of Irving Berlin and George Gershwin as one of those pluggers. Gershwin took notice of the young composer, and by the time Lane was eighteen he had his first song featured in a Broadway revue. The next year he wrote all the music for Earl Carroll’s Vanities of 1931. One of Burton Lane’s signal accomplishments was the discovery and promotion of the eleven-year-old belter who would become Judy Garland. He had chanced to hear the Gumm Sisters’ act on an occasion when they invited their little sister Frances to perform, and Lane arranged a studio audition for her. By the time Burton Lane wrote “How About You” for her and Mickey Rooney in Babes on Broadway (1942), Garland was a confirmed star. The song was a great hit, was nominated for an Academy Award®, and reappeared in nine subsequent films. 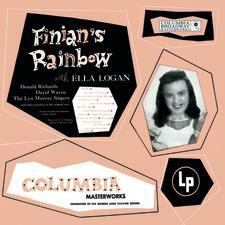 Lane returned to Broadway several times, in 1940 with Hold Onto Your Hats (lyrics by Harburg), in 1944 with Laughing Room Only (“Feudin’ Fussin’ and Fightin'”), in 1947 with Finian’s Rainbow (“That Old Devil Moon,” “How Are Things in Glocca Morra?”), in 1965 with On a Clear Day You Can See Forever, and in 1980 with Carmelina. 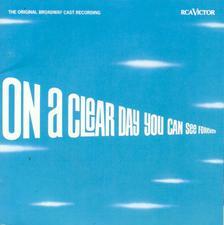 Both the latter musicals, with book and lyrics by Alan Jay Lerner, were nominated for Tony Awards®, and the Original Cast Album of On a Clear Day won a Grammy®. 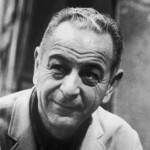 Probably Lane’s most successful film score was his first collaboration with Lerner, Royal Wedding (1951), starring Fred Astaire (dancing on the ceiling) and Jane Powell. He earned another Oscar® nomination for the song “Too Late Now.” The twenty-year-old “Everything I Have Is Yours” also saw a resurgence of popularity in the ’50s, showing up in four more films. Lane took on new duties in 1957 as president of The American Guild of Authors and Composers, serving for ten years in the position, and receiving the first Sigmund Romberg Award in 1966. He also served three terms on the board of directors of ASCAP. He was inducted into the Songwriters’ Hall of Fame in 1971.